PHOENIX, Ariz. — The national law firm of Quarles & Brady LLP today announced it will relocate its Scottsdale office to 8585 E. Hartford Drive #108 Scottsdale, Ariz. 85255, effective October 2, 2017. 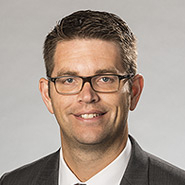 As part of the transition, Matt Dana, a partner in the local Estate, Trust and Wealth Preservation Practice Group who joined Quarles & Brady in 2014, will be transitioning back to his own firm, which focuses exclusively on trusts and estates work. Senior associate Todd Smith, who joined Quarles & Brady in 2014, has been appointed as the new practice group chair. Joining him in Scottsdale is paralegal Jennifer Skubic, who has also been with the firm since 2014. Smith focuses his practice on estate planning, probate and trust administration, and business organizations. He works for high-net-worth clients, but he enjoys assisting individuals and families with estate planning needs, regardless of the size or complexity of the estate. He also assists clients through the administrative burdens that complicate the already difficult time after the death of a loved one, including helping out-of-state residents to navigate Arizona's probate process. Skubic assists clients in estate planning, probate and trust administration. She has firsthand knowledge of how to execute trust documents and how to fund a living trust and works very closely with the attorneys to administer trusts and estates once someone has passed away.